During the spring and summer term of 2012 I assumed a temporary tenure as Director for the Phil kids and Philharmonic Youth choir. In this position I conducted the weekly rehearsals and prepared all choirs for their end of term concerts. This culminated in a performance of Rutter’s Mass of the Children with the Ulster Orchestra in The Ulster Hall for the Philharmonic Youth choir and a concert at Glenmachan Church for the Phil Kids Choirs. Noye’s Fluddle 2012 Northern Ireland Opera Chorus Master and Assistant to conductor Nicholas Chalmers. My role during the rehearsal period was to prepare the children’s chorus of 100 members for the performances in August 2012. 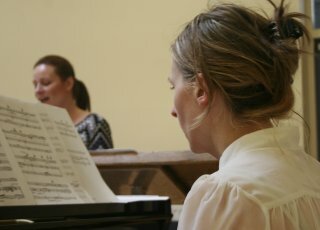 This involved rehearsal schedule planning, daily warm up sessions, soloist coaching and teaching the chorus music to the children, whose age range spanned from 5 – 16 years old. During the production I continued to provide warm up sessions for the chorus and young soloists and to conduct the off stage chorus sections. 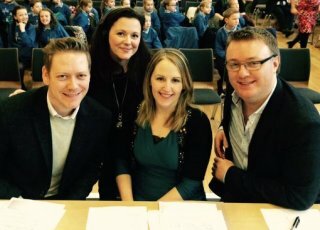 It has been my absolute pleasure to appear as a judge on the BBC Radio Ulster School Choir of the Year in association with the Ulster Youth Choir and the Arts Council Northern Ireland in the 2015 and 2016 competition. During the 2016 competition I appeared as a member of the judging panel on all of the regional heats and the semi final. What an honor and joy to listen to so many young voices and hear the high quality of singing throughout Northern Ireland at primary and senior school level. Previous Adjudicating includes The Music Makers Festival Manchester. I often prepare singers for coaching for T.V and radio appearances. Role preparation for NI Opera includes the roles of Miles in the Turn of the Screw for Trebles Thomas Copeland and Joe Zubier. A large part of my work as a vocal coach involves my work with external Choral Organisations. My role at these organisations includes group warm ups, group singing lessons, solo lessons, and soloist preparation. 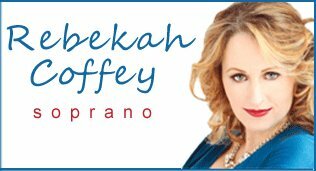 Rebekah is also vocal tutor at Queen’s University Belfast. National Boys Choir of Scotland. 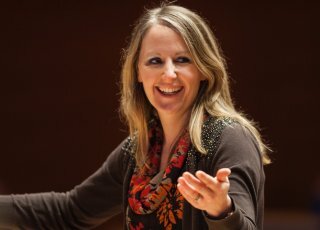 It has been my pleasure to work as a vocal coach/singing teacher on the music staff at the Easter Residential course under Director Christopher Bell for the last five years. Ulster Youth Choir and Ulster Youth Training Choir. This summer will be my third year working with the young singers at the Ulster Youth Choir under Director Dominic Peckham. Philharmonic Kids and Philharmonic Youth Choir. This will be my 9th year working with the young singers of the Phil Kids and Philharmonic Youth Choir. Here I work with groups of singers and prepare any soloists that are required for concert appearances. Each year I also prepare the chosen treble for the solo in Howard Blake’s “The Snowman”. This involves teaching and preparing the soloist to appear with The Ulster Orchestra in their Christmas Family Concert.